Many of my friends have been to Japan and they seem to have seen much more of Japan than I have :O There are so many travel guid on the Internet, so I will stick to the essentials. Warm and nice. March is the cherry blossom season (see below). Can be pricey. It rains on most days in June. July and August are hot! Think of the East Coast summer (32C/90F daytime) like New York City, but the humidity is much higher. It's muggy and it doesn't cool down during the night. Visit Kyoto to see leaves changing colors in November. Again like NYC, winter is cold (0C/32F low) especially when it's windy. Snow is rare but possible. The city (indoor) is warm but temples in Kyoto can be brutally cold. 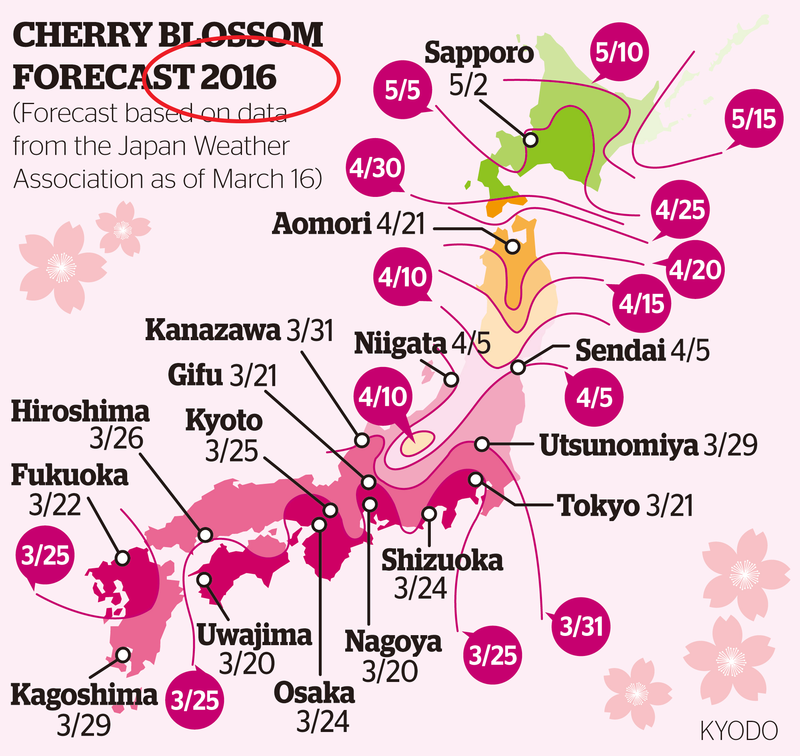 The dates of the actual blooming can be still different from the forecast. If you arrive too early or too late, you can always hop on the bullet train and "chase" the cherry blossom.